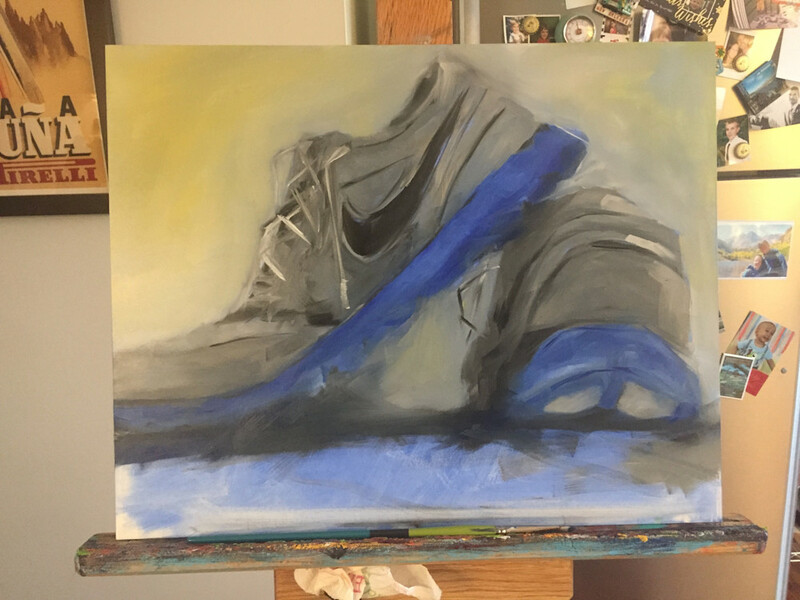 I don't mean for this to seem like a Nike ad, as I'm not loyal to any particular brand of running shoes, but my most recent pair was an enticing item to paint as part of a still life. Why? I think it's because of the stuff I remember doing in them that I remember. 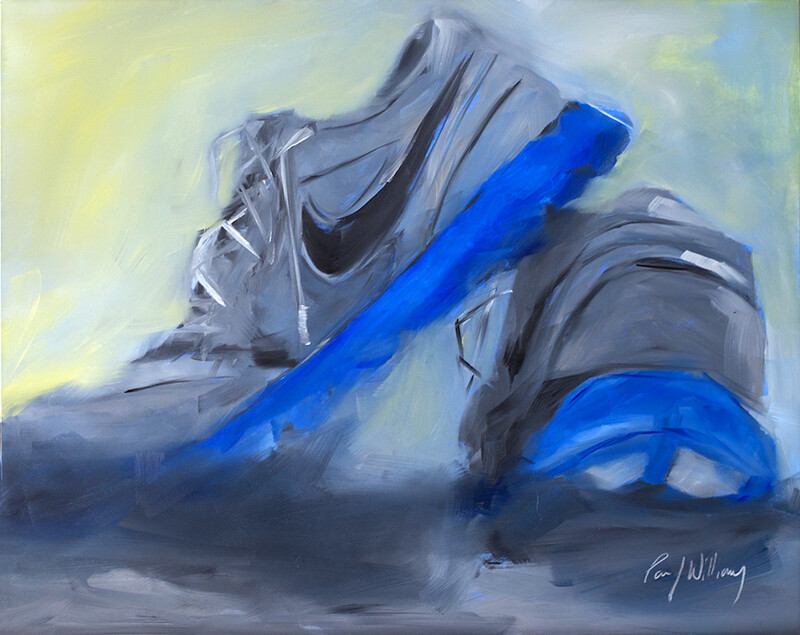 I bought these shoes at some point a couple of years ago at the Nike outlet near my house. They were inexpensive and comfortable. I don't run a lot (this is all relative, I suppose) but these shoes have been all over the place...California, Montreal, throughout New England. 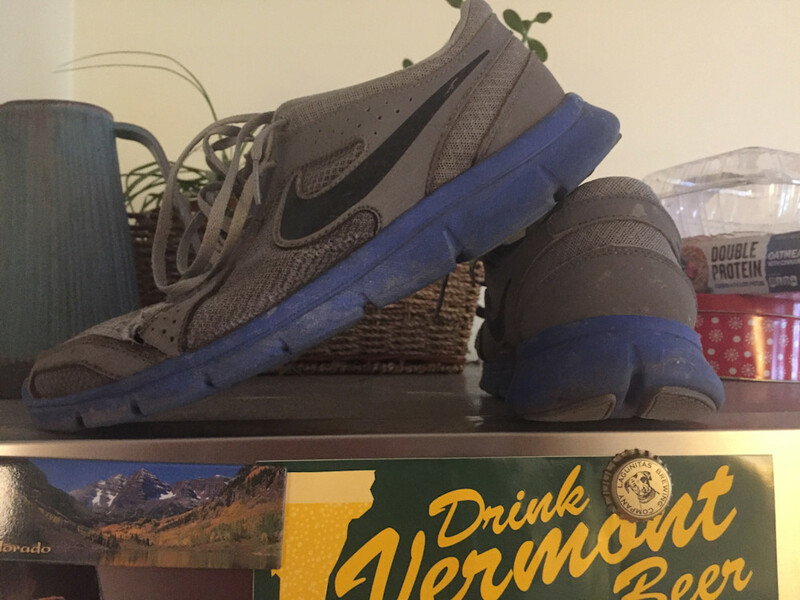 I've spent a fair amount of time running by myself in them too, but it's important to me how much time I've spent with others including my wife, my dog, and my friends too. In a way that's how I attach value to a pair of shoes as I know to wear them out you've got to spend some serious time in them. 16x20" oil on panel. $950 Inquiries here. Above left: my still life set up atop the fridge so I could sit below it and get the right view. Above right: a progress photo.